Prime Minister Stephen Harper today issued the following statement to mark the opening of Canada’s National Ukrainian Festival in Dauphin, Manitoba, from July 29 to 31, in preparation for Canada’s National Ukranian Day on August 7, 2011, celebrating the 120th year of our Ukranian Settlement in Canada. “This annual national Ukrainian festival celebrates the special kinship that exists between Canada and Ukraine, and the important contributions that Canadians of Ukrainian descent continue to make in our country. “This year also marks the 120th anniversary of Ukrainian settlement in Canada. Since that time, the Ukrainian community in Canada has grown to over 1.2 million and has thrived, contributing to our nation’s prosperity through hard-work, resourcefulness and determination. “It is also the 20th anniversary of Ukraine’s independence, which Canada recognized in 1991 ahead of all other Western nations. Canadians and Ukrainians share many important values and principles – including our steadfast support for freedom, democracy, human rights and the rule of law. 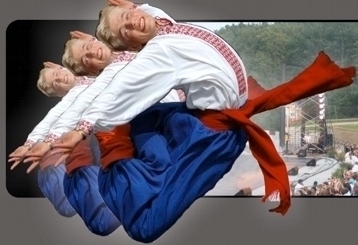 “As in previous years, Canada’s National Ukrainian Festival will be hugely successful thanks in no small part to the organizers, volunteers, performers and all those who participate. I encourage everyone to take part in this year’s celebrations and learn more about the rich Ukrainian-Canadian cultural heritage. 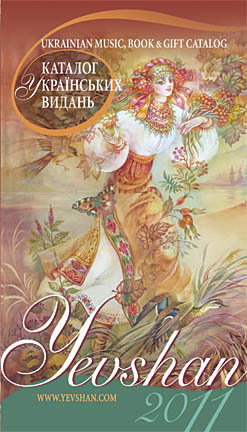 Celebrate Ukrainian Day at the Ukrainian Cultural Heritage Village Alberta, August 7, 2011 http://conta.cc/nKvYoK . Yevshan catalog features products from Ukrainian Power Videos this year. These fun videos will make your kids excel in Ukrainian language and they won’t even notice that they were learning. Ukrainian Power Videos, Inc. celebrates its 10th anniversary.